THE Perry Lakes Hawks won a Grand Final rematch on Saturday in likely the game of the Men’s SBL season to date before the Joondalup Wolves responded the next day with 31 first half points from Earnest Ross and that just scratched the surface of what happened across Round 5. 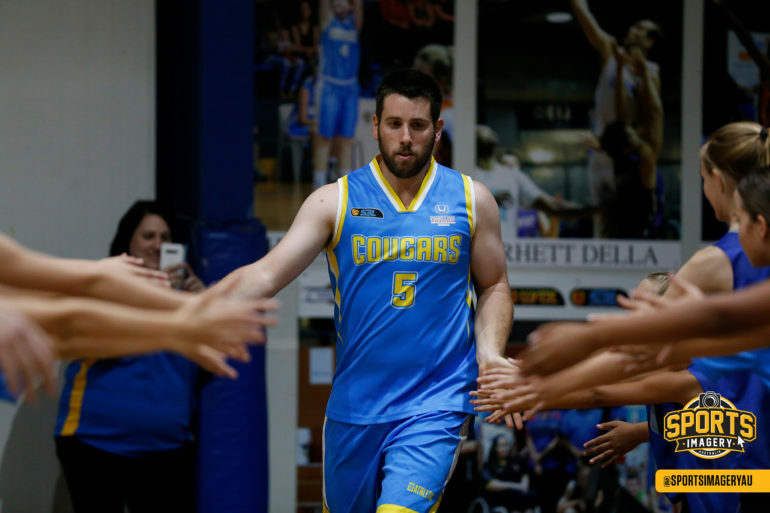 Round 5 in the Men’s SBL began on Friday night with the Cockburn Cougars beating the Kalamunda Eastern Suns 88-78 for their first win of the season to celebrate the 250th game of championship winning guard Steven Van Lit. 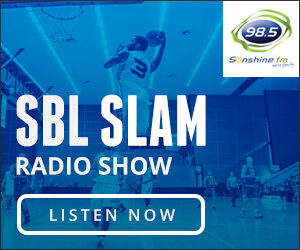 The East Perth Eagles just managed to deny the South West Slammers their first win of the season, winning 85-83 and the Lakeside Lightning defeated the Willetton Tigers 89-78. Then on Saturday night, the Perry Lakes Hawks won the Grand Final rematch at HBF Arena over the Joondalup Wolves 102-94 while the Geraldton Buccaneers beat the Perth Redbacks 92-82, the Rockingham Flames downed the Goldfields Giants 84-74, the Cockburn Cougars beat the South West Slammers 83-76 and the Warwick Senators prevailed 94-63 against the Mandurah Magic. The round then concluded on Sunday afternoon at Ray Owen Sports Centre with the Joondalup Wolves beating the Kalamunda Eastern Suns 102-79. Following five rounds of the 2019 season, the Joondalup Wolves sit out on top of the Men’s SBL at 6-1 ahead of the 5-1 Geraldton Buccaneers and 4-1 Lakeside Lightning. The Rockingham Flames and Perry Lakes Hawks both hold 4-2 records to be ahead of the Warwick Senators (3-2), Goldfields Giants (4-3) and East Perth (4-3) who round out the top eight. 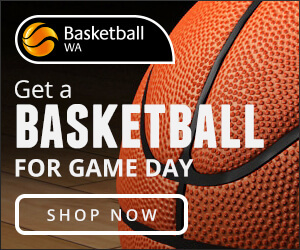 The Willetton Tigers are just outside at 3-4 ahead of the Kalamunda Eastern Suns (3-5), Cockburn Cougars (2-4), Perth Redbacks (2-5), Mandurah Magic (1-5) and South West Slammers (0-7). The South West Slammers looked capable of recording their first win of the season on Friday night, but the East Perth Eagles ended those hopes coming from behind to win by two points. The Slammers came to Herb Graham Recreation Centre on Friday night having lost their opening five games of the season, but they started strongly against the Eagles. East Perth did lead 20-18 at quarter-time, but South West then took control in the second quarter to go into half-time leading 46-37. But the Eagles did come out of the locker room a different outfit and dominated the third period with 27 points to 13 to head into three quarter-time lead 64-59. East Perth’s lead grew to nine points two minutes into the fourth term but the Slammers wouldn’t go away and by the time Michael Lay converted a three-point play, the visitors trailed by just two points with six minutes to go. A couple of minutes later and Tyler Livingston hit a triple to tie scores up and it remained that way until Chuatwech Reath knocked down the biggest shot of his SBL career to have East Perth leading 80-77. Brody England responded immediately for the Slammers with a three of his own and then Aiden Murphy consolidated East Perth’s three-point lead. But the Slammers got back on level terms at the foul line before Andrej Donlagic gave the Eagles a two-point lead with two minutes left and the scores remained that way the rest of the way. Point guard Cameron Williams finished with 19 points, five assists and three rebounds for East Perth with Aiden Murphy continuing his growth with 17 points, four assists and three steals before fouling out in 27 minutes. Drew Williamson added 14 points, four rebounds, two assists and two steals for the Eagles while Andrej Donlagic contributed 12 points, 11 rebounds, four steals and two blocks, Chuatwech Reath 10 points and Jordan Wellsteed nine points, 11 boards, three assists and three steals. Michael Lay continued his tremendous start to the season for the Slammers with another 21 points, 10 assists and seven rebounds even if he did make just 3/9 from the free-throw line. Tyler Livingston ended up with 19 points and seven rebounds for South West while Brian Voelkel finished with 10 points, eight rebounds and four assists. Chris Douglas also had eight points and nine rebounds, and Brody England nine points. It was always going to be fascinating to see how the Lakeside Lightning responded to the first loss of 2019 and they did well to beat the Willetton Tigers by 11 points on Friday night. Lakeside opened the season impressively winning their first three games before going down at home to the Joondalup Wolves by 19 points last Friday night. This was their first game since then so there was plenty of interest surrounding how they would respond with the Tigers themselves attempting to bounce back from last Saturday night’s loss at Warwick to the Senators. It was the Lightning who came out and started strongly holding Willetton to just nine first quarter points. That helped the home team open up a 43-31 half-time advantage and they were able to go on and finish the job to win 89-78. The victory improved Lakeside to a 4-1 record on the season while the Tigers are 3-3. Both teams played relatively efficient games with the Lightning ending up shooting 30/69 at 43 per cent from the field and 17/39 at 43 per cent from beyond the arc to go with 24 assists and 13 turnovers. The Tigers also shot 31/71 at 43 per cent from the field and 9/26 at 34 from long-range while having 21 assists and 13 turnovers. But the Lightning were able to lead by as much as 20 points at one stage before winning by 11 despite the absence of Jarrad Prue. Jobi Wall produced a Player of the Round performance for the Lightning with 35 points, six rebounds, three assists and three steals while shooting 12/22 from the field and 9/17 from three-point range. Kyle Armour enjoyed a good game against the team he previously captained too with 16 points, five rebounds and five assists while Rowan Mackenzie added 14 points, six boards and six assists, Ben Lee nine points and Josh Davey eight points, 13 rebounds and two steals. 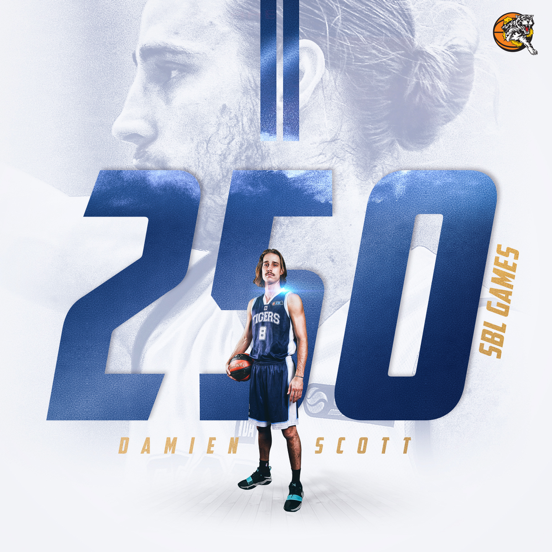 Damien Scott produced 21 points, eight rebounds and eight assists for Willetton in his 249th SBL appearance with Jackson Hussey finishing with 20 points, six boards, three assists, two steals and two blocked shots. Michael Garbellini played well also against his old side with 15 points and three rebounds while MO Barrow contributed 10 points, four boards and four assists, and Marcanvis Hymon six points, 10 rebounds and two steals. The Cockburn Cougars played host to the Kalamunda Eastern Suns on Friday night attempting to win for the first time in 2019 and they succeeded winning by 10 points to celebrate the 250th game of Steven Van Lit. Cockburn had lost its opening four games of the season despite some competitive showings while Kalamunda came to Wally Hagan Stadium on the back of a strong 20-point win against the South West Slammers. But with the added motivation of Van Lit’s 250th game, the Cougars produced a tremendous performance and started strongly to lead 25-15 by quarter-time. Cockburn continued that momentum to lead 54-37 at half-time and while Kalamunda mounted a fight back in the third quarter, the Cougars withstood that and pulled away in the fourth term to claim the 10-point victory to open their account for 2019. The Cougars moved the ball and shared it well to finish the game with 22 assists and just seven turnovers despite being outrebounded by 13. But Cockburn led by as much as 17 and won by 10 on the back of another strong showing by inspirational captain Gavin Field who had 24 points, 13 rebounds, five assists and four steals while shooting 9/14 from the field and 3/5 from beyond the arc. Jaarod Holmes continued his strong form for the Cougars with 15 points and seven rebounds while Seva Chan ended up with 13 points and 10 assists, Eric Milam 10 points and five rebounds, Hayden Bell eight points and five boards, and Matt Vinci eight points. Van Lit had three points and an assist as the 2016 championship winning guard celebrated SBL game 250. Josh Braun did all he could to try and inspire Kalamunda to the win with 32 points, nine rebounds and four assists with Louis Timms adding 22 points, 11 boards, two steals and two blocked shots. Ryan Blanchett also battled hard in his usual energetic way for eight points and 11 rebounds. Geraldton was back home for the second straight week and the Buccaneers had to work hard, but ended up overcoming the Perth Redbacks for a 10-point victory on Saturday night. The Buccs had suffered their first loss of the season two weeks before on the back end of a road trip against the Perry Lakes Hawks but returned home last Saturday night to beat the Cockburn Cougars by 29 points. The Redbacks might have started the season slowly but scored their first two wins of the season last weekend against the Flames and Slammers so they did come to Geraldton with a degree of confidence. It was a tight opening quarter but the Buccaneers did pull away in the second quarter to go into half-time leading 47-34. 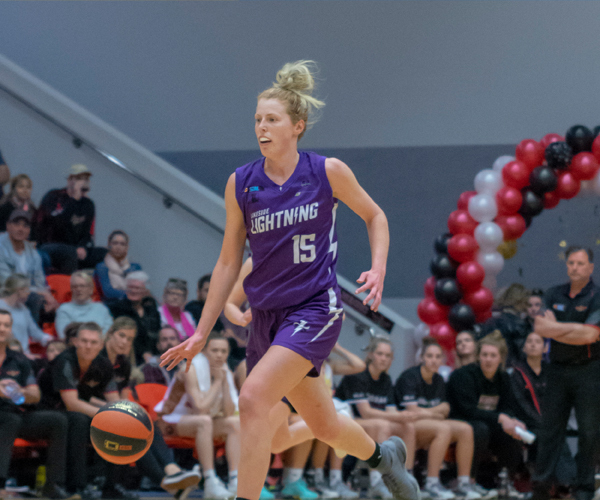 The Redbacks then produced a tremendous third quarter of basketball putting up 32 points while conceding only 21 which saw the home side’s lead cut to 71-66 at three quarter-time. But the Buccs responded in the final quarter with 24 points to 16 to take away the 10-point victory to improve to 5-1 on the season while the Redbacks are 2-5. The Buccaneers took tremendous care of the ball with five turnovers to go with 19 turnovers while also doing well inside finishing with 52 points in the paint to just 28 from the Redbacks. Liam Hunt had a night out for the Buccs with 23 points, nine rebounds and two steals while shooting 9/16 from the floor. Colter Lasher added 21 points, seven assists, six rebounds, three steals and two blocked shots for the Buccaneers while Marcus Alipate contributed 17 points, nine boards and five assists, Aaron Ralph nine points and eight rebounds, and Willie Conner eight points and two assists. Marshall Nelson continues to show how far he’s developed during his time in the NBL with the Illawarra Hawks, putting up another 23 points, six rebounds and five assists for the Redbacks. Zac Gattorna also had 18 points, 12 rebounds, three assists and two blocks for Perth with Jayden Coburn adding 16 points, six rebounds and four assists, Joel Wagner 11 points and four assists, and Kyle Bowen 10 points, nine boards and four assists. The Goldfields Giants and Rockingham Flames have both showed impressive signs to start 2019 so plenty went on the line on Saturday night and it was Rockingham who prevailed by 10 points even without Greg Hire. The Giants came into the game having lost on the road to Rockingham the previous Sunday but that was on the back of a four-game winning streak while the Flames had won three of their previous four matches ahead of the trip to play in Kalgoorlie. It wasn’t until the second quarter when the Flames began to open up a handy lead and that saw the visitors head into half-time leading 49-42. Both teams then scored just the 13 points apiece in the third quarter and Rockingham was able to consolidate in the final term to secure the 84-74 victory to improve 4-2 on the season with Goldfields slipping to 4-3. While the Giants dominated the glass with 53 rebounds including 23 on the offensive end which led to 20 second chance points, but they couldn’t take full advantage shooting just 32 per cent from the floor and 23 per cent from three-point range, going 6/26. The Flames didn’t catch fire from downtown also going 6/26, but they did shoot impressively inside shooting 65 per cent from inside the arc. They then won the game despite missing 11 free-throws and having 15 turnovers. Josh Ritchart starred for Rockingham ending the night with 24 points and 10 rebounds while shooting 11/20 from the field. Caleb White also contributed 17 points, six rebounds and two steals while Ryan Godfrey added 14 points, two rebounds and two assists, Chudier Pal nine points and eight boards, and Luke Travers seven points and seven rebounds. Jay Bowie top-scored for the Giants with 19 points and four rebounds with Manylok Malek contributing 18 points, nine boards and three blocked shots, Patrick Burke 16 points and 11 rebounds, Fletcher Klasztorny eight points, nine rebounds and three steals, and Jerome Reid seven points and four boards. It might only be Round 5 of the 2019 season but it was already the second Grand Final rematch for the season and this time it was the Perry Lakes Hawks beating the Joondalup Wolves by eight points at eight points. Coming off the Hawks winning last year’s championship, they met in Round 1 to open the 2019 season and it was the Wolfpack who came out howling winning by 36 points. The Wolves continued that momentum winning their opening five matches heading into Saturday night’s encounter while the Hawks lost their first two matches but had won their last three to be building some momentum since the arrival of Clint Steindl. That set the stage for what could have been the match of the season and it certainly didn’t fail to deliver with the Wolves leading at one stage by 10 points, and the Hawks leading by as much as 11. The Wolfpack made the first break going from trailing 7-9 to lead 18-9 thanks to an 11-0 run during the first quarter punctuated by Damian Matacz making an immediate impact in his first appearance of the season. The 366-game SBL veteran hit six points in the first quarter to help Joondalup lead 28-22 by quarter-time before a Ridell Camidge triple gave them a nine-point advantage. They were back up 10 thanks to a Camidge triple and Kevin Davis bucket near the basket. The Hawks fired back, though, with five quick Clint Steindl points and that helped cut the Wolves lead to 46-43 by the major break. Perry Lakes came out firing in the third period and when Ben Purser hit five quick points they had turned that half-time deficit already into a one-point advantage just over two minutes into the half. It was Lochlan Cummings’ turn for five quick points heading towards three quarter-time and that put Perry Lakes up by six points before a Ryan Smith three stretched the advantage to nine which is where their lead remained heading into the fourth period. The Wolves had managed to turn things back around and assumed a one-point lead by the time there was 6:30 left. They were then four points up when Rob Huntington dropped one from downtown but Purser jumper and Steindl three saw the Hawks quickly regain the lead. Steindl then extended the lead with another bomb and when he nailed another with a minute to go, it proved the match-winner and the Hawks went on to win by eight. Clint Steindl ended the night with 30 points, seven rebounds and four assists for Perry Lakes while shooting 7/12 from three-point territory. Lochlan Cummings added 17 points for the Hawks, Ben Purser 13 points, seven rebounds and four assists, Ryan Smith 13 points, four rebounds and four assists, Brian Carlwell 11 points and six boards, and Cooper Hamilton eight points. Earnest Ross put up 21 points, seven rebounds and three assists for the Wolves while Ridell Camidge added 17 points, three rebounds and two assists, Damian Matacz 14 points and two rebounds, Kevin Davis 13 points, eight boards, four assists and two blocks, and Rob Huntington 12 points, five boards and four assists. 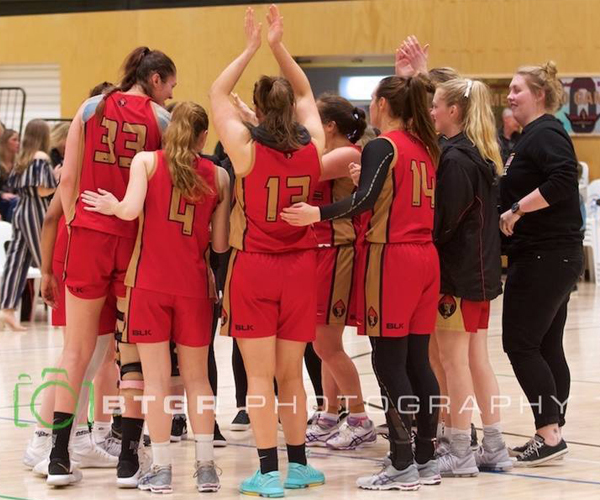 The South West Slammers had their second chance of the weekend to get their first win on the board of 2019, but it wasn’t to be instead the Cockburn Cougars scoring the seven-point victory. Both teams entered Round 5 without a win in 2019 with the Slammers going ever so close before losing to East Perth by two point son Friday while Cockburn was able to open its account with a win at home against the Eastern Suns. But the Slammers were back to Eaton Recreation Centre on Saturday night attempting to break the duck, however, the Cougars were the ones who started the better going on to lead 23-19 by quarter-time. 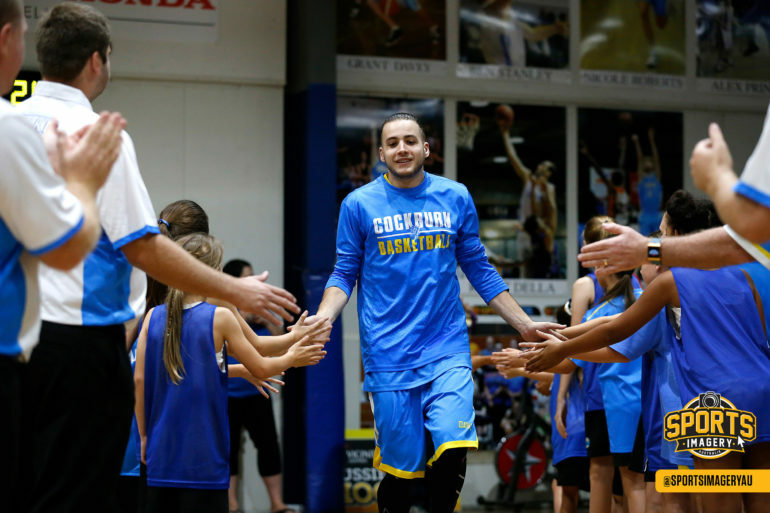 Cockburn continued that momentum with 25 points to 15 in the second quarter to lead 48-34 at half-time. While the Slammers gave themselves a shot throughout the second half, the Cougars did enough to win by seven points and improve to 2-4 while the Slammers felt to 0-7. Gavin Field once again top-scored for Cockburn with 19 points, 10 rebounds, eight assists and two steals with Jaarod Holmes continuing his career-best form with 17 points, five rebounds, two assists and two steals. Eric Milam added 10 points, six rebounds and three steals for the Cougars with Hayden Bell contributing nine points and five boards, Seva Chan eight points and three assists, Jake Harris seven points and four rebounds, and Matt Vinci seven points and four boards. Tyler Livingston top-scored for the Slammers with 27 points and eight rebounds while Brody England added 20 points, four rebounds and two steals in the absence of Brian Voelkel. Michael Lay finished with 13 points, nine rebounds, six assists and three steals, and Chris Douglas 10 points, 10 rebounds, three blocked shots and two assists. Mandurah’s Shaun Stewart did have 21 points, seven assists, six rebounds and three steals with Marvin Smith adding 11 points and seven rebounds but the two imports combined for 12 turnovers and just two free-throws.